The Islamic State group claimed responsibility for the latest attack to rock London — the fifth this year — after a homemade bomb exploded in a packed subway car on Friday, sending panicked passengers fleeing for cover during the morning rush hour. In response to the attack, which left dozens of passengers injured, U.K. officials raised the terror threat to critical, meaning another attack is imminent. 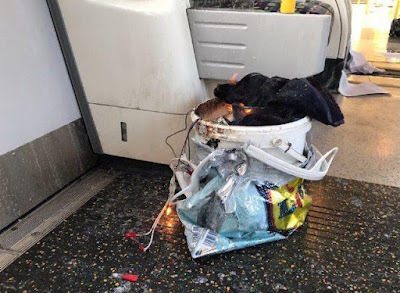 Authorities said the incident was caused by an improvised explosive device that had been left inside a bucket in a supermarket cooler bag on a busy subway car. Photos on social media showed a white bucket on fire inside the train.